Stop counting sheep, start getting sleep. My future mattress will be made from magical feathers that produce no back pain. However, the one I currently have is terrible — and I needed an inexpensive solution. Sadly, I live in a small dungeon that can comfortably fit a twin. BUT! This year, I decided to invest in a new mattress because the one I currently have is lumpy, hard, and I can just feel the springs. Smart, right? WRONG. My research revealed that mattresses are very expensive — who knew? While I’m willing to invest in quality products, I also realize that I won’t be sleeping in a twin bed forever. Buying an expensive mattress seemed like a waste of money considering that, in my near future, I would like a bed that could comfortably fit me and a couple of dogs. Perhaps my boyfriend, too. Luckily, I found this budget-friendly memory foam mattress topper ($36.89) that provides the perfect amount of cushiony support and has me snoring in no time. 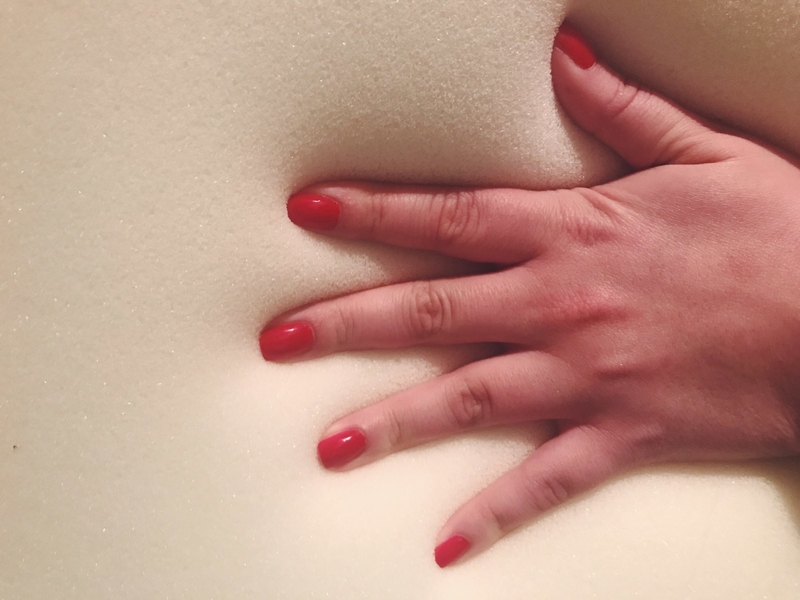 This 1½" Memory Foam Mattress Topper by Threshold promises to "relieve pressure points and sore muscles" while providing "body-cradling support and comfort," and BOY DOES IT DELIVER. How do you use this thing? First, I let this giant pillow "air out" for about an hour so it could settle into its original form, since it had to be rolled up to fit inside the box. I placed the topper directly on top of my mattress and put a fitted bed sheet over: it's thick enough to really feel like you’re sleeping on a cloud (about the width of six issues of Nylon, for reference), but not too thick that your sheets won’t be able to cover it. Plus, there's a subtle minty scent intended to neutralize odors. Conclusion: Overall, this is probably the best $40 I’ve ever spent. The first night I slept on this bad boy, I woke up feeling like a new woman; it's now been three months and I continue to fall asleep 10x faster, wake up feeling refreshed, and I don't look like the Hunchback of Notre Dame due to back pain. Hooray! And apparently, I am NOT the only life affected by this amazing cloud cushion. Get it from Target for $36.89 (available in sizes Twin, Full, Queen, King, California King, and Twin Extra Long). Get it? Because you won't have to count them in order to fall asleep?